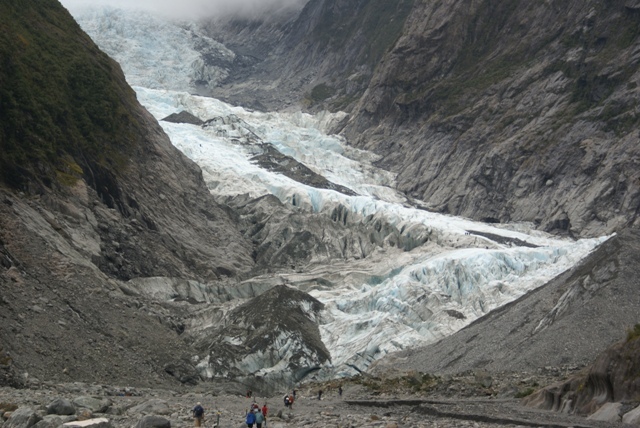 The Franz Josef glacier, a 30 minute drive to the north of Fox, is in a wider valley, but the walk up the valley to the face is longer, taking about 1 1/2 hours to get there. 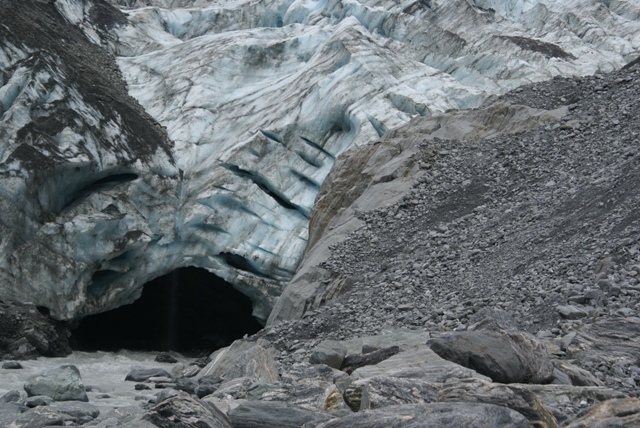 It's a shorter glacier, but much straighter and more direct. 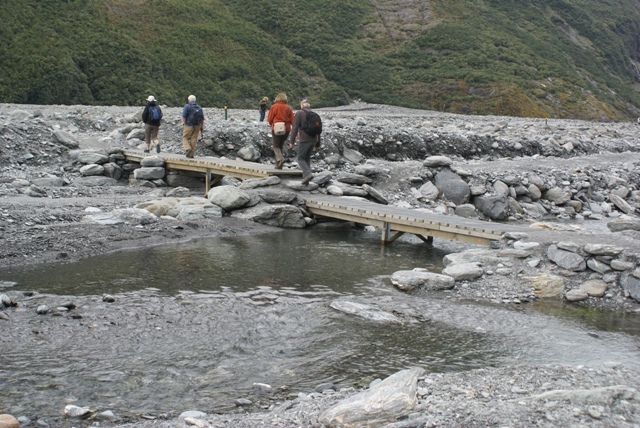 Walking up the scree-strewn valley - helped by these bridges. 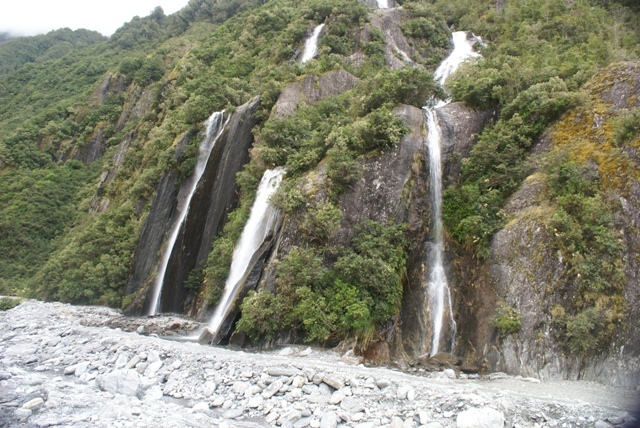 A pretty waterfall en route. The terminal face of Franz Josef. down from on top of the ice creating a small waterfall. 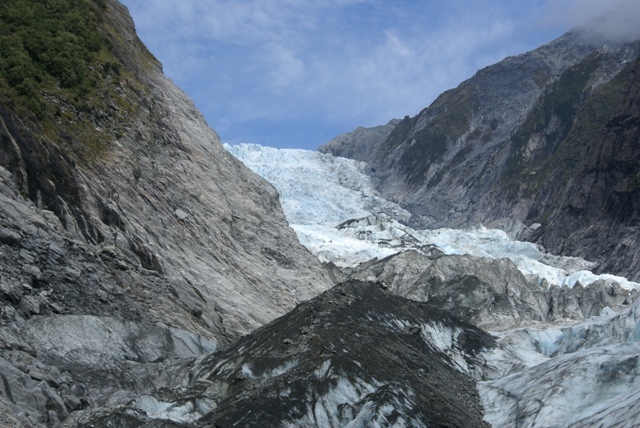 Looking up the glacier. It's much straighter than the Fox glacier.